Throughout the years, I’ve found distributing bidding paddles at the registration desk can become a real hassle. Nobody wants to stand around with a cocktail in one hand, an appetizer in another, and a bidding paddle under their arm. Here’s what I recommend. 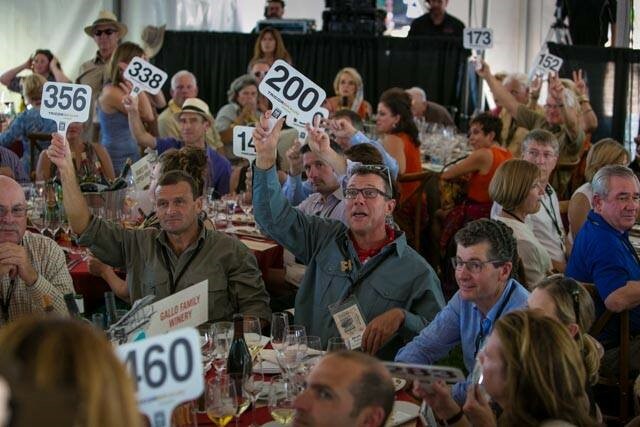 Always assign tables and put the group of bundled paddles on the table with the bidding number and bidder’s name printed on each one, with the numbers and names matching your computer software. When the people sit down, they can unbundle the paddles and distribute to the right party. Make sure this is done prior to the live auction beginning. This can be accomplished several different ways. Have a few hand selected volunteers stop by each table, reach for the package of paddles/cards and say, “Welcome, we’re glad you’re here. Would you like me to assist you in distributing the donor paddles tonight?” Then pass them out. Hopefully the volunteers recognize many of the guests, which will help make this process smooth and simple. You can incorporate the passing out of the donor paddles as part of the welcome speech. Just realize this needs to be done near the end of their remarks as passing out the paddles will create a slight disruption and increase the audio volume in the room. This is not a bad thing, just be prepared movement will occur and plan for it. This is not my first recommendation, but it is an option. You can have your auctioneer make the announcement and facilitate the paddle distribution. One trick I use is to have a photographer in place and ask everyone to hold their paddle in the air so we can take a picture. Give a three-count, then snap the photograph. Generally, it takes three pictures to get everyone in the room. 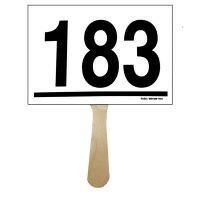 Remember, you don’t want to slow down or delay the start of a live auction with people in disruptive conversations regarding as to who gets which paddle. Charities often tell me, “But Scott, we don’t know if we can do that because we don’t know where they’ll want to sit.” Chances are most of your tables are assigned and you know who will be seated at most tables, you just don’t know the exact seat location. And, that’s why you leave the paddles on the table and not on the seats. 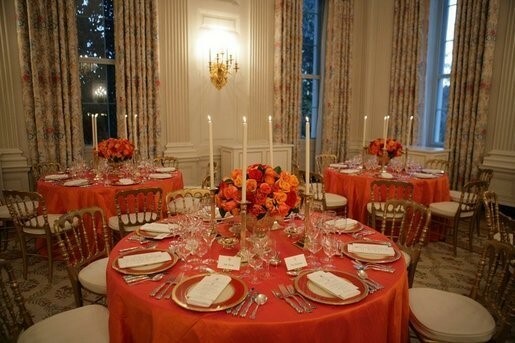 You want the head of the table to determine who sits where. Let me explain. 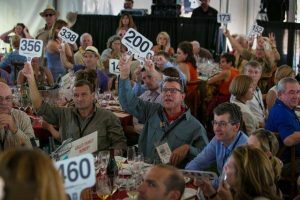 As a donor, if I bought the table and invited my friends, I’m going to expect to have the best seat at the table, which is the one facing the stage and auctioneer. If the table is round, those with their backs to the auctioneer have the worst seats. That is not where you want your table buyer, and usually, lead bidder sitting. If you have a VIP purchase a whole table, a person I refer to as the “table captain”, get the name of the guests from the table captain and make little name tents, aka, place cards. Then place these small name tents in a stack on the table, but not in front of any seat. Advise the table captains when they arrive, that at any time prior to the event starting, he or she can go to their assigned table and place the name tents in front of the seats where they want their invited guests to sit. Once the table captain performs that duty, the bidding paddles can be placed on the right seats. An auction venue is not much different than a wedding. Name tents take away the confusion as to where people should sit. And strategically speaking, once you place them where you want them, there’s usually a symmetry to the room. Everybody knows where to go. Everybody knows where to sit. Another added benefit is people will sit down quicker as they do not need to wait on their hosts and other people at their table to determine where everyone should sit, which can be a bit awkward. Besides, people love seeing their name in print. They feel important. Empowered. And that usually means they’ll be lifting those bidding paddles with more enthusiasm. Always remember, it is not what you say to your attendees, it’s all about how you make them feel. So, make them feel Loved. Wanted. Important. And, they will reward you with stronger giving.